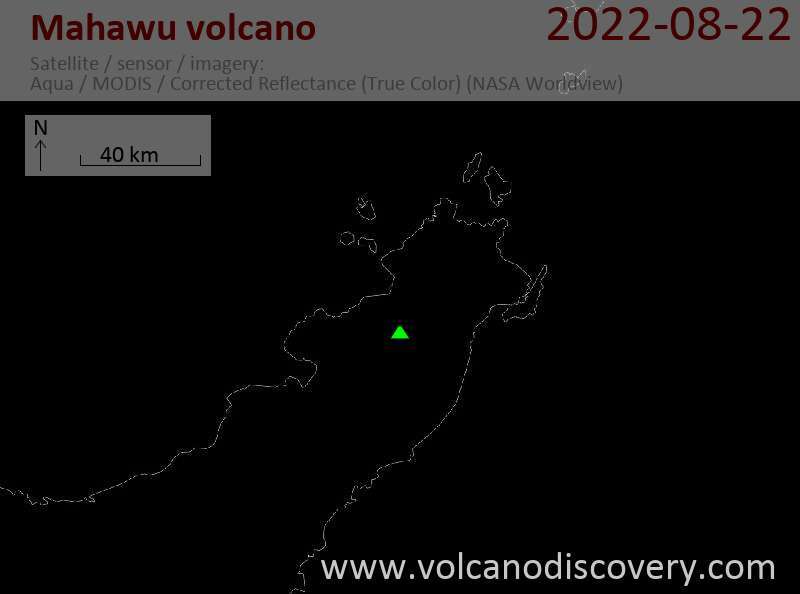 The elongated Mahawu volcano lies immediately east of Lokon-Empung volcano. It is the northernmost of a series of young volcanoes along a SSW-NNE line near the margin of the Quaternary Tondano caldera. Mahawu is capped by a 180-m-wide, 140-m-deep crater that sometimes contains a small crater lake, and has two pyroclastic cones on its northern flank. Less active than its neighbor, Lokon-Empung, Mahawu's historical activity has been restricted to occasional small explosive eruptions recorded since 1789. In 1994 fumaroles, mudpots, and small geysers were observed along the shores of a greenish-colored crater lake. Small explosive eruptions. Contains a crater lake with fumaroles and small geysers.